As discussed in our article outlining the benefits and drawbacks of renting versus buying cameras, the photography and cinema make up a a broader artform that is requires not only creativity and vision but also technical and technological knowhow. The tools required to create quality content within the medium reaches beyond a pen and paper or a paintbrush and an easel – it requires highly tuned, expertly engineered, and often times extremely expensive equipment. To those outside of the industry, or for those who have yet to go down the beautiful rabbit hole that is photography and filmmaking as a hobby, cameras might seem to be the only real piece of kit you need. Of course, without a camera no photographs can be taken and no films made. However, as any even moderately seasoned photographer or filmmaker knows, cameras are the base necessity in the quest for high quality pictures and movies. The lens of the camera is a big determiner of the quality of a photograph or movie and, like camera bodies themselves, there are a wide range of types and brands to choose from – all of which are can make a large dent on your budget if you are not careful. Maintaining a rock-solid budget is not a glamorous part of the photography or filmmaking business but, unfortunately, it is one of the most important things to keep in mind. That’s why hiring lenses, and kit in general, can be an extremely useful option considering the high price of camera equipment. With that in mind, you do not want to use just any rental platform. If you are based in London and appreciate well priced rental options and reputable lenders, BorrowFox is the right hire site for you. While BorrowFox does fulfill the most important parts of a rental site – affordability, guaranteed satisfaction, and peace of mind – it also has a step up above the competition in terms of its deep, personal connection with the greater London based creative community. BorrowFox is partnered with Hiive, the professional creative social network for Londoners, so we understand what its like to be a professional in creative industries. As a result, BorrowFox aims to make creativity accessible. Photographers and filmmakers who already own their own lenses, for example, can rent them to others in the industry to create a synergetic relationship that serves to strengthen the greater creative atmosphere of London. In short, BorrowFox is concerned with giving its users access to high quality, inexpensive kit, as well as a network that is devoted to the business of photography and filmmaking. For readers who are just starting to get into photography or filmmaking, the importance of lenses can not be over stated. For readers who are more seasoned and familiar with the artform, it does not hurt to reiterate the importance of picking the right lens. In basic terms, lenses control the what is projected on to your camera’s imaging sensor and, as a result, control the quality of the pictures that you shoot. Many photographers argue that a great lens attached to a sub-par camera is preferable to a sub-par lens attached to a great camera. With that in mind, there is great variety in the subcategory of lenses with each different type and brand able to achieve different results. One photography expert/blogger put it well: ‘A camera body is obviously vital, but if your glass won’t give you a clear shot at the right distance and speed, you might as well be waving around a shoebox.’ So, now that it is clear that lenses are incredibly important to the quality of your work, as well as the best place to rent them from, it is worth exploring why, in most cases, it makes sense to rent lenses instead of buy them. If you are a beginner, hiring a lens to understand the intricacies and techniques of the kit makes a lot more sense than buying a lens (or lenses) without understanding how to operate them. For example, maybe you have done research on the differences between lenses. You’ve learned that a prime lens is one with a fixed focal length – the only way to make your subjects appear larger or smaller is to physically move in order to change the perspective. By the same token, you’ve learned that zoom lenses are ones that have variable focal lengths (such as 70mm – 200mm) . While understanding the general abstract theory of this concept is a great first step, it might be hard to fully wrap your head around how the different lenses perform in actual practice without testing them out yourself. Similarly, trying out the different lenses with different focal lengths and different aperture capabilities can inform your photographic style, and help you figure out your favorite subject to photograph or film. For example, if you think you might be interested in landscape photography, you could rent out a wide angle 16mm, 35mm, or 16mm-35mm zoom lens which will help you capture the magnitude of nature. The same goes for the different focal lengths – if you are just starting out you will want to experiment, and a lens hire platform like BorrowFox is the inexpensive and safe way to do so. Lens Hire - Why Not Try Before You Buy? The benefits of renting when you are just making the first steps into the world of serious photography or filmmaking are more obvious than the benefits of renting when you are already a serious hobbyist or make a living in one or both of the industries. Very few beginners would take the chance to buy an expensive lens outright without first learning the basics of how different lenses perform. That does not mean, however, that if you are more experienced, renting is unnecessary. In fact, if you are serious about your photography or filmmaking, hiring different lenses to find the one that best suits your needs and your style is a prudent financial move. The concept is similar to demoing a video game before you buy it, or test driving a car before you shell out five figures on something that you might not like. If you are planning to buy a video game, chances are you’ve played a video game before in your life. If you are planning to buy a car, chances are you already know how to drive. However, it is almost second nature to try before you buy when it comes to both video games and cars. It follows then, that if you have access to a lens hire company like BorrowFox, it makes sense to hire a lens before buying in order to potentially save you a lot of money. 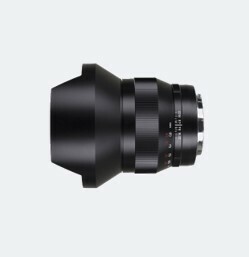 If you are looking to upgrade to the newer version of a lens you already own, or want to check out a lens made by a brand that you have not used before, renting one from BorrowFox – even if it is only for a couple of days – can help you make informed buying decisions without paying the full cost for a new lens. Lets say, for example, that for the entirety of your career as a photographer you have been loyal to Canon brand lenses. 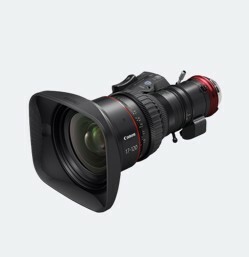 Canon offers a great selection, and there are many different models to choose from on BorrowFox. At the same time, however, you have heard that the Voigtländer 90mm f/3.5 SL-II is an outstanding lens, and you would be interested to see if you prefer it to the 90mm Canon lens you already own. Instead of buying a the Voigtländer, or trying to find a friend or colleague who might have the lens for you to try, you could simply rent it off of BorrowFox. If you love the lens, you could continue to rent it or go out and buy one for yourself. If you find that the lenses you already own meet your needs, you have saved yourself a significant amount of money and hassle by trying before you buy. Professional photography or filmmaking can be a tough business. No matter your skill level, previous successes, or the strength of your portfolio, there will undoubtedly be times when paid work is not rolling in as often as you would like. For times like these, it is important to have a wealth of experience in different areas of photography. For example, if, in general, you make your living off of portrait photography, it can be helpful to also have a grasp over landscape photography or macro photography. That way, even when your main source of income through photography dries up for a time, you will still be able to pay the bills because you are well versed in other styles. Knowing how to shoot in other styles, and of different objects, for different clients is an indispensable skill to have as a photographer or filmmaker. However, even if you do have a wide range in skill, chances are, especially if you make most of your living off one type of photography, that you do not own all of the lenses necessary for different types of work. 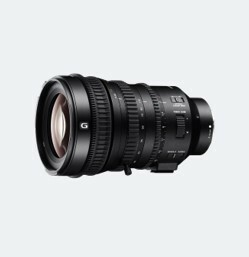 Using the example from above, if most of your highest paying jobs involve portrait photography you probably own a high-end lens that does the job, such as a cooke s4 50mm lens. Because portrait photography is your main source of income, it makes sense to own the lens. However, if you find a job through a professional network, such as Hiive or Linkedin, to do a macrophotography shoot, your cooke s4 50mm is not going to effectively do the job. That’s where BorrowFox comes in. 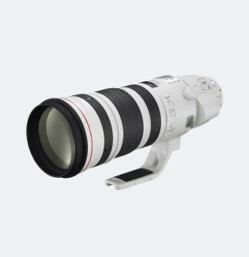 Simply check the featured products and find something that would work, like the Canon 180mm Macro EF f3.5 L USM Lens for a mere £15 a day. That way, you can take the job while keeping your budget low. As you have learned, renting lenses is a great cost-effective way to keep your photography and cinema creation related expenses low. Whether you are a true beginner, want to try out a lens before you buy it, or are in a pinch and need to rent a lens for a special occasion, hiring a lens, instead of buying one, is often the better option. If you already own all of the lenses you need, it might seem that your investment in lenses has gone to waste. 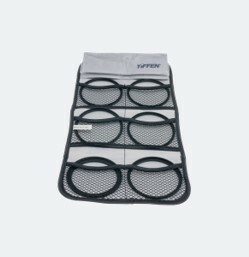 However, with BorrowFox your arsenal of kit can quickly, and safely be rented out to other BorrowFox users so that you can get a return on your unused lenses. With top-notch insurance and comprehensive background checks, you can rest assured that your lenses will be returned in great condition.